A few weeks ago, we met with a client to discuss new planted borders in their front yard. 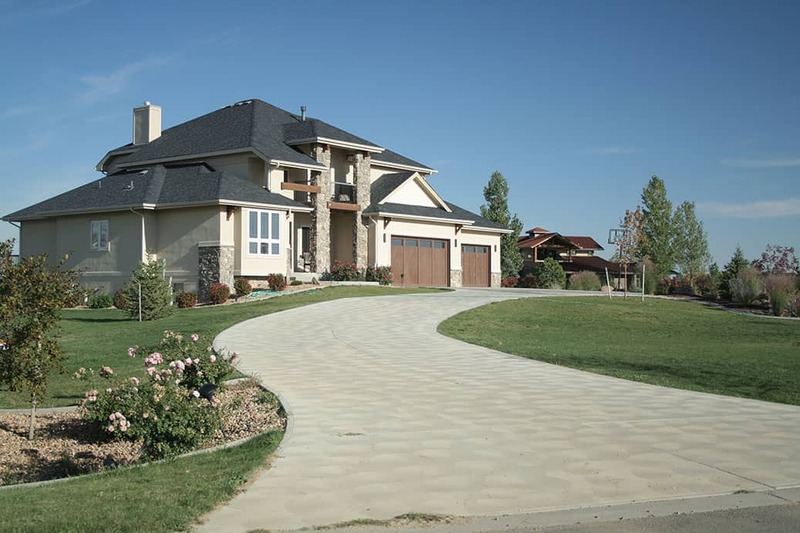 Right away, upon arriving to their property for the first time ever, we were astounded and struck by their driveway installation, which included a paver driveway and side entrance landing. We were shocked to learn this project was completed a decade ago. How do we develop a successful South Jersey driveway installation at Darlington Designs? We’ll walk you through the process. First, we begin with the base. A successful paver installation is reliant on the solidity of the base. The base must be that which can support vehicular traffic, a compacted base of about twelve inches, much more than the base that would go underneath a pedestrian walkway. Next, we pay attention to the pavers. Choose a paver that is made to support vehicular traffic. We want to ensure your driveway maintains a smooth, steady surface for you and your guests. Third, we closely examine the design. Herringbone and Basketweave patterns are excellent choices. The borders can be single or double, in a matching or contrasting style, are the finishing touch, and supported at the edges to prevent side collapse. There are a lot of customizable, unique options available to explore. Additionally, we focus on how the corners will appear. Polished corners cut with precision and care set a quality installer apart from the rest. It’s details like this especially we take pride in within the surrounding Glassboro area. Lastly, we choose the right driveway apron. To help warmly welcome you and your guests home in style, a driveway apron constructed with granite block creates a beautiful and elegant entrance, as the brilliant final touch on an elaborate project. A well-constructed paver driveway should last for decades, which will add high value and bring well-deserved curb appeal to our home. Don’t wait. Contact us today to book a free, complimentary consultation. Reach us at 1-877-DarDes1. Act now on your vision for your driveway. We can’t wait to work with you!